I have used the ArcGIS hydrology toolsets before. 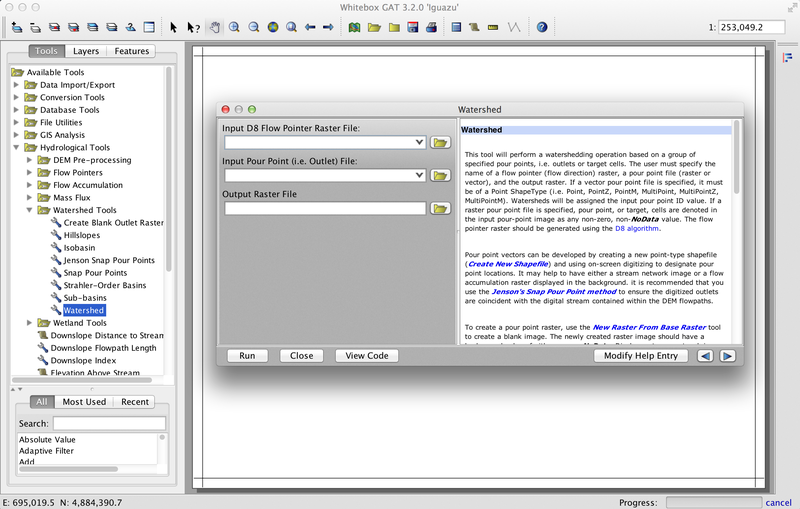 Glad to see all kinds of Hydrological Tools in Whitebox.The Jenson Snap Pour Points is definitely better than the ArcGIS method. I have a large number of pour points and i want to extract a individual watershed for each one. The problem i have is that Whitebox gives me “sub basins”. For example, the outlet of the entire watershed should generate a watershed with the entire catchment. but instead i get a watershed with half the catchment from the outlet point and then overlapping sub basins from the other pour points. 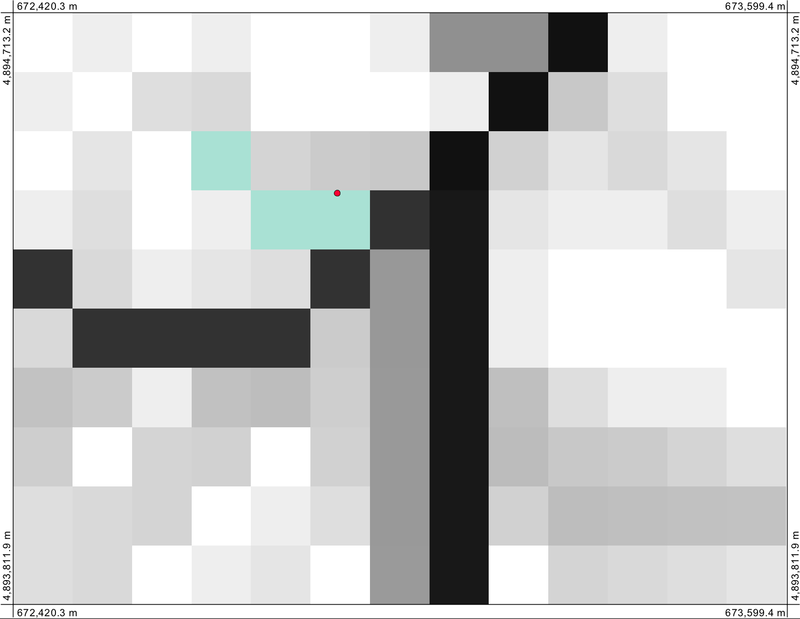 Is there a way to extract the complete watershed for each point in a shapefile with a lot of pour points? Okay William, what you want is the Unnest Basins tool, which I have been meaning to write for quite a long time. Your comment has prompted me to finally do so. I’ll email you shortly with the script and details on how to use it. 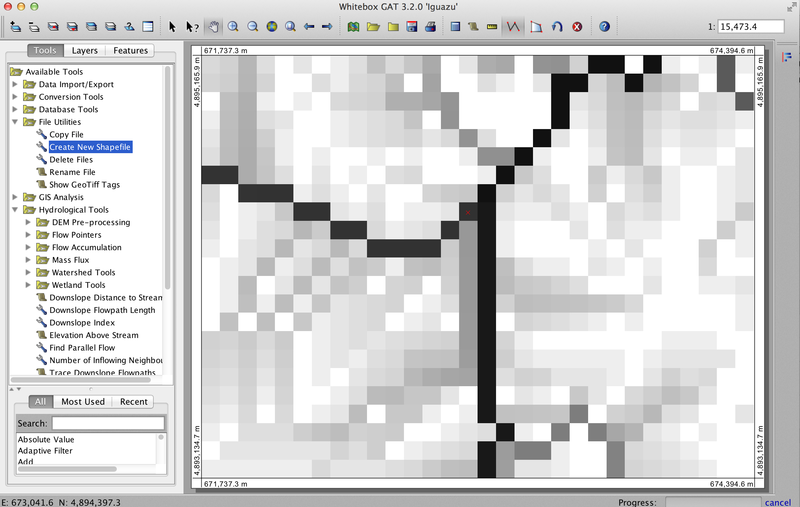 Essentially it will take a D8 flow pointer and a shapefile of outlet points and will output a series of rasters containing the complete watershed of each outlet. All upstream outlets of a certain outlet will be found in separate rasters. 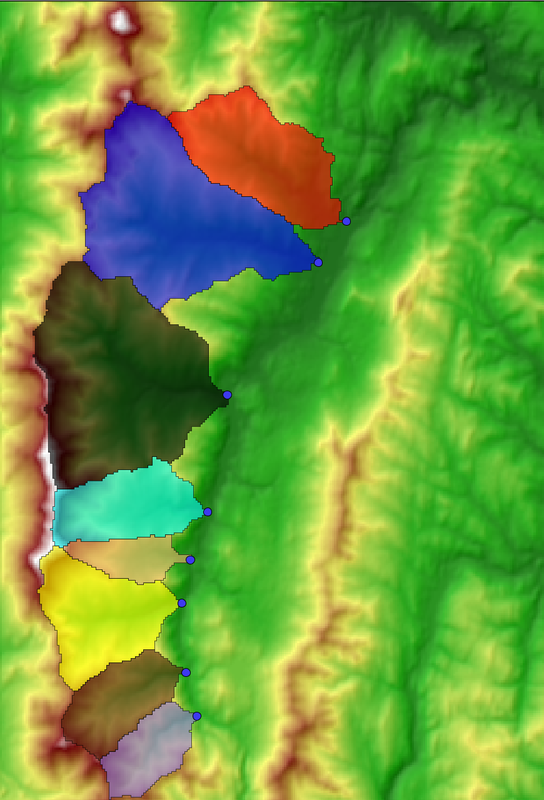 Rasters can contain multiple watersheds, but each watershed in a raster will have a similar ‘nesting order’, where nesting is determined as the number of downstream outlets.